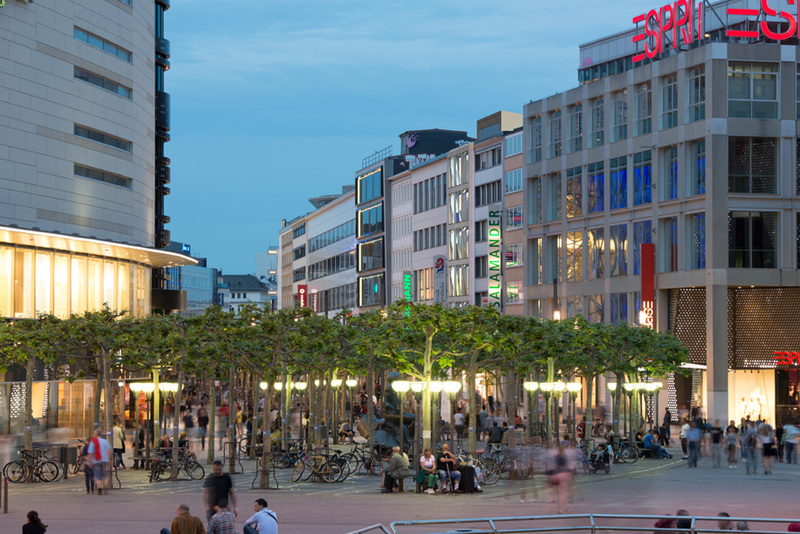 On Germany’s busiest shopping street, Die Zeil, a site only 10 m long but 45 m deep, site belongs to the prestigious Else-Kröner-Fresenius foundation. 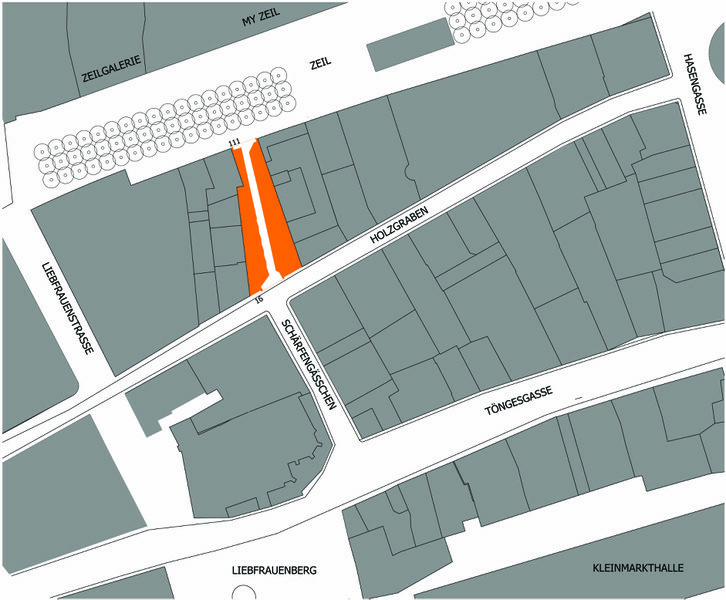 The site has been cleared completely but for the 550 year old Hirsch chemist's shop. 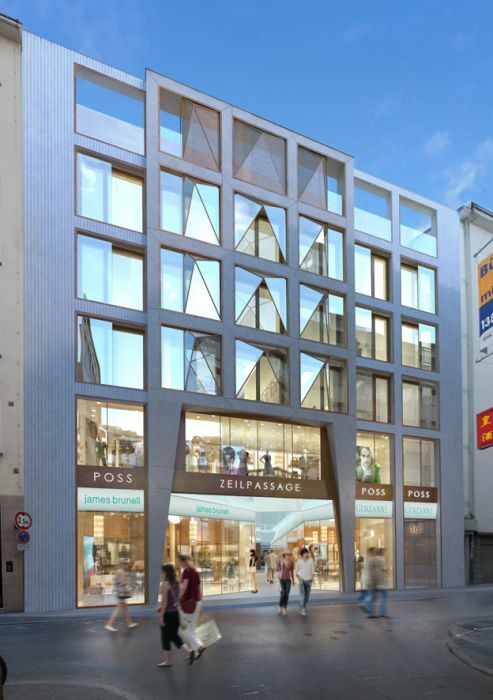 The new building will house the historic chemist's shop and provide 25,000 sq ft for retail, surgeries and micro apartments. A generous three dimensional natural stone arch spanning the entire width of the site entrance will welcome future customers and visitors. 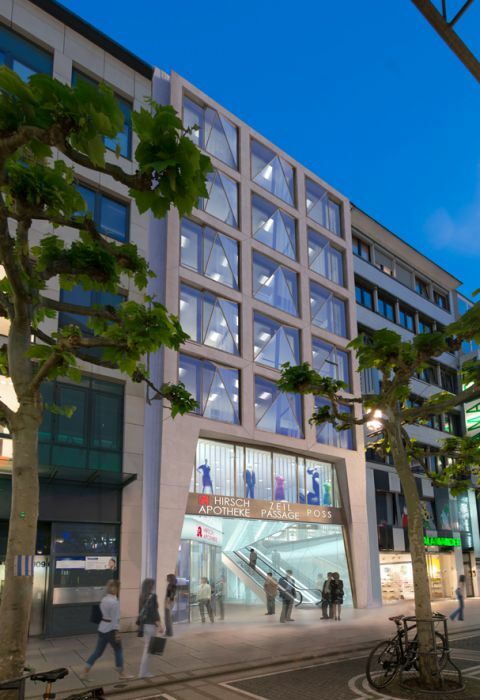 The archway and a prismatic bay window design will create further architectural interest in Germany’s No 1 shopping street.